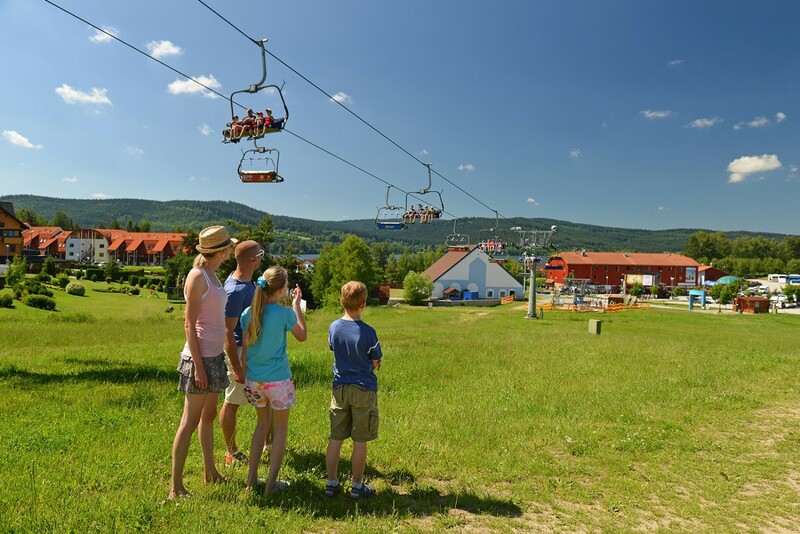 Lipno is the right destination for a family holiday! Kids, adults, grandchildren and even grandparents are sure to choose something from the wide variety of activities. 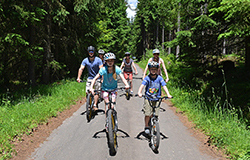 Lipno is fun for the whole family! In summer you will find virtually everything at Lipno. 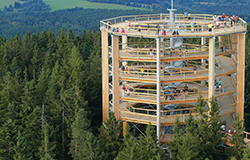 Treetop Walkway Lipno offers Lake Lipno and Novohradské Mountains in different dolours, Active Park Lipno will also engage not only children. Bathing is an integral part of Lipno and there is also a new paradise for bikers and in-line skaters. 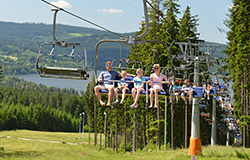 The biggest attraction in winter is the Lipno Ski resort. But let us not forget about skating on the frozen lake. Adults will also appreciate the tennis and squash courts or bowling, while the whole family will have fun on the climbing wall and in the Aquaworld water paradise.